Acquiring property in tony Panchsheel Park, New Delhi is every middle class Punjabi, Kalal, refugee, boy’s dream. It came true for me today just shy of 62-never mind that the apartment is old; that one walks up the stairs to the second floor; the floor is cracked mosaic; the wash basin is below and not sitting on top of the supporting ledge; the toilet is fixed into the floor, not the wall and there is no place to have live-in servants. Just being able to buy an apartment with a full cheque payment seemed a triumph- no doubt helped by the fact that the MCD has jacked-up the circle rate so high here, that you save no tax by paying in cash, as is the norm, even if you must have cash in the required proportions. Property is important to middle class Punjabi refugees, uprooted so cruelly from their narrow, little, secure, world of dank gullies and bulbous backsides in Rawalpindi or Lahore. For us, property is legitimacy. The more upscale the locality, the greater is ones claim to legitimacy-as if one can buy ones way up the rigid social hierarchy. The fact is one can. It was 1977. I had just finished college and started earning a salary as a Senior Management Trainee in the Delhi Cloth Mills (a princely Rs 900 per month). Three male friends (who shall remain unnamed) and I were drinking in a house in super-tony Golf Links. The session ended at around 2.00 AM. We were fairly sozzled and making a ruckus on the road. Some resident called the cops, who rounded us up fairly respectfully (after all it was Golf Links and we looked like we belonged) and took us to the Tuglaq Road Police Station. We were arraigned before the Station Officer. He asked the first boy his name and address. The address was Golf Links, where we had been drinking. The SHO nodded. The second boy’s address was in Lutyens’ Delhi, where the senior-most Delhi babus live. The SHO nodded. 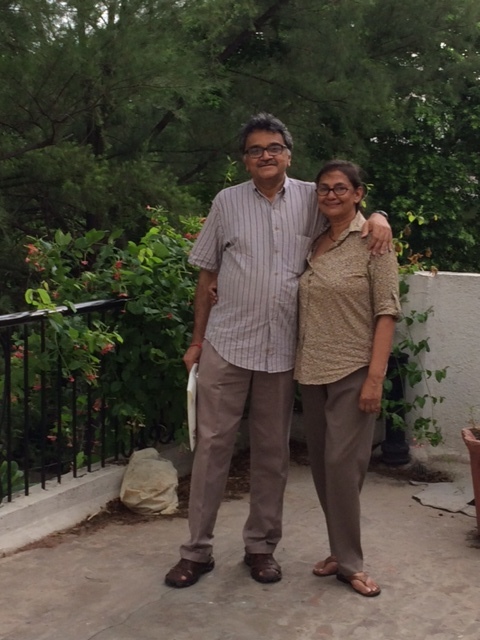 My address was my parents rented place in Lajpat Nagar-a middle/lower middle class, refugee colony. The SHO let forth a string of expletives in “classic” Haryanvi, admonishing vermin, like me, who “spoil” nice upper-class boys. As punishment for this inexcusable crime of social pollution I was made to crouch with my hands stretched up front, to atone for my sins, whilst the other two stood coolly. That was the day my “liberal” dream ended and I came face to face with reality. No I did not become a Naxalite as did many of the present day liberals. I did it the Punjabi way. First, I resolved to join the Indian Administrative Service-to join which only merit rules; the crème de la crème of babugiri which escalates you up the social ladder faster than a dope-head snorting coke. Second, I resolved to buy property to step out of the kicchad (muck) I was in. I serially bought a DDA flat; a plot in Greater Noida; a flat in Friends Colony and finally a flat in Panchsheel Park. I waited to get my Aadhar card made till I had a “worthy” address to put on it. Now I do. To appreciate the contrast, consider my wife-Vidyun. A thoroughbred Rajput from Uttar Pradesh. A born aristocrat, whose parents never knew the value of money. Her father was swindled out of his landed riches when his father died young and he was just a young boy. Reduced pretty to refugee status you would say. The difference is you can take the riches out of royalty, but not the status or the mind space that goes with it. The fatherless boy took refuge in books and the company of powerful mentors who looked kindly at him, for they knew his past. They sympathized with him and admired his courage at not being disheartened by his misfortunes; a truly Royal trait. To the true Rajput what matters is not the size of the cheque you can write but the principles you can uphold and the blood you can shed whilst doing so. Bred in this Dream world-part early Bollywood, part mythological, it is no wonder that to Vidyun, what matters is not where you live but who you are, because her legitimacy lies in her historical identity. It is enough to establish, even today, that you are the grand-daughter of the Thakur of Akohdi for the heads to nod in acknowledgement of your genes. It also helps if you are beautiful, immensely talented and a successful professional, as she is. Vidyun is dismissive of neighbourhoods for she defines the neighbourhood she graces. It is ok to live in a slum, if everyone knows that it is not where you really belong. You just happen to be passing through. Indian’s have an unending belief that eventually genes will triumph like a Kamal flowering even in kichhad. And indeed they are right. But for middle class Punjabi refugees-small time shop keepers, traders, swindlers, bootleggers, money lenders and lower level lackeys of the British Raj-pushed out from their native habitats in what is today Pakistan, there is no historical identity they can take solace in. How can one extol the virtues of selling “Vimto” from a horse drawn cart? For us what matters is the here and now and acquiring property is the one thing that fills this historical void. For me it’s all over now. My work is done at last and it is time to start walking towards the final resting place, wherever it may be, my Aadhar Card in my pocket, clearly stamped as Panchsheel Park, my ticket to everlasting legitimacy. And who knows, there may even be more property up this road. But it won’t matter as much. I have my ticket already. A huge congratulations sir! Beautifully written. So true about the heritage genes vs. the refugee ones, you can see it in their bearing. For us Gujjus, you don’t arrive until you have a GC; we have Amrika on the mind. Great ~ I am very happy for you… I live in B 151, Sheikh Sarai… Your wife (Bitto Didi) knows me since I was a toddler. Convey my congrats to her as well. PreviousIndoPak: make the mangoes rot.